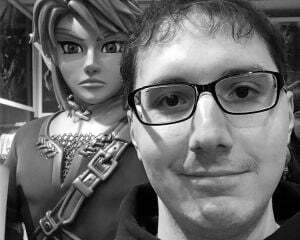 I was a bit of a strange teenager. While most of my peers were busy playing the latest in flashy games, I tended to look for obscure titles and different genres. I remember having a grand old time on the original Xbox playing things like Gunvalkyrie and Jet Set Radio Future, but my friends never seemed to understand. Then came along Rallisport Challenge and I found my answer for a racing game. I always loved how intense off-road racing felt and was taken with the breathtaking graphics. It looked like live action and DICE (yes, the Battlefield developer) managed to create one of the most realistic racing games ever, for the time. I just loved plowing through water, dirt, and grass while careening on the edge of cliffs. It was thrilling in a life-or-death kind of way. Much to my dismay, Microsoft didn’t continue the franchise on the Xbox 360. I figured we would never get another rally game on then-next-gen hardware, but Codemasters seemingly stepped in to fix that issue. While not the first rally game developed by the company, Colin McRae: DiRT brought the excitement of off-roading to the next-generation and it was a blast. I, stupidly, didn’t get into the series until DiRT 3, but I’ve been hooked ever since. After an absence of six years, Codemasters has returned to the main DiRT series with DiRT 4 and has made some great changes to keep the game feeling fresh and wild. Many people bemoaned the lack of focus on rally racing with DiRT as the series progressed. While DiRT 2 was seen as the high point by fans, DiRT 3 and Showdown kind of took the series in different directions. 3 brought in a plethora of modes that had nothing to do with off-roading and Showdown might as well have been a different IP with how little resemblance it bared to its predecessors. Codemasters was seemingly aware of this divide, so that led to the development of the second spin-off game, DiRT Rally. 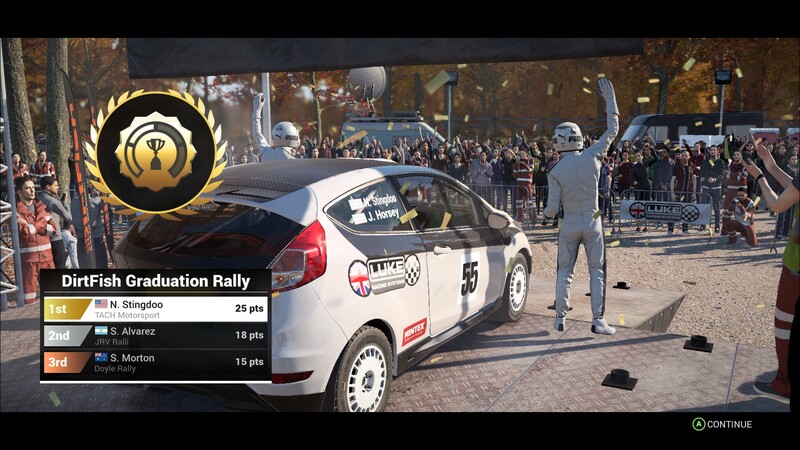 For DiRT 4, it looks like Codemasters has taken inspiration from the success of its Early Access title. While the amount of content isn’t staggering, the number of options dedicated to purely rally racing is awesome. This is a game that is about recreating the sensation of barreling through the woods or hills and doesn’t really care if you want something else. 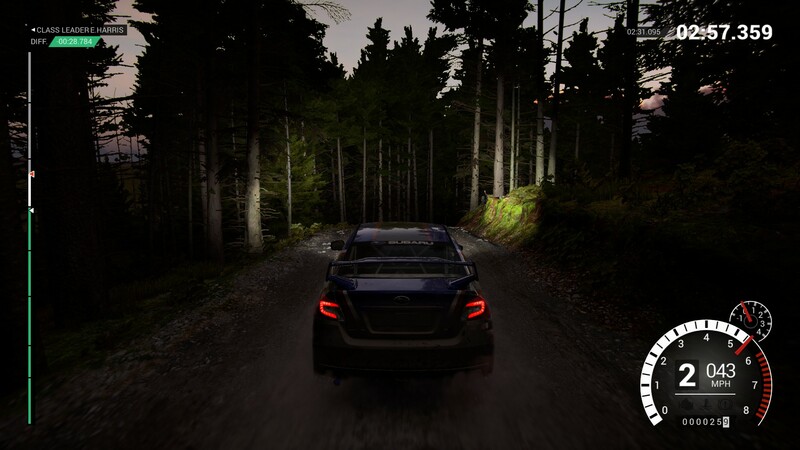 That isn’t to say other modes aren’t present, but DiRT 4 has a laser focus that hones in on why people started to gravitate towards this series to begin with. This is also helped by a more traditional gameplay style that puts emphasis on performing well over handing out too many assists to players. If you’ve come to love the rewind feature that almost every racing game has adopted, I’ve got some bad news for you: DiRT 4 axes that entirely and doesn’t care if you screw up five minutes into a track. While I had begrudgingly accepted rewind features in other games, I forgot how amazing it feels to conquer a difficult course without such a safety net. It makes sense, too; rally racers aren’t magically rewinding their cars and reversing damage in actual races, so why should a simulation game have that? 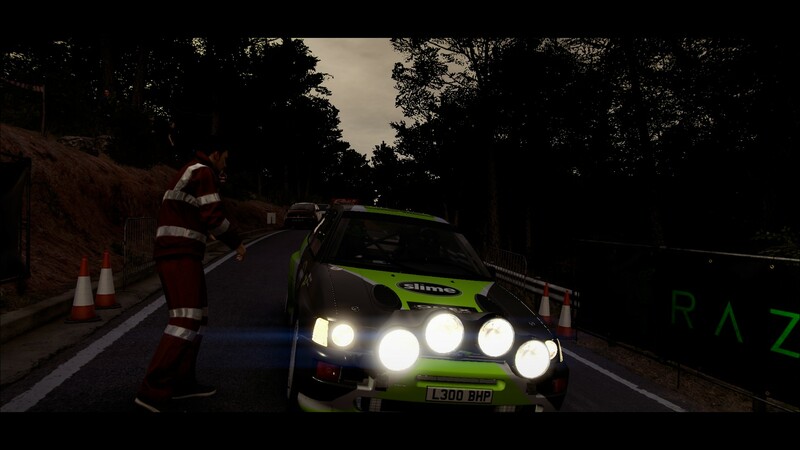 As accessible as previous games have been, DiRT 4 is eager to be more realistic. While you can still toggle a bunch of different driving options on or off (like anti-lock breaking, steering assist, and throttle control), there is no map or driving line to guide you. You have to pay attention to your co-driver and actually watch the track to succeed. 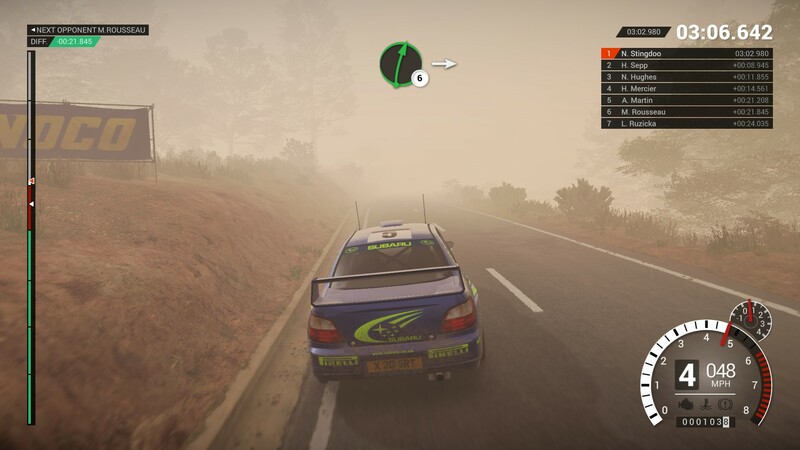 At least if you are brand new to rally games, DiRT 4 offers a handling option that should prove sufficient. When you first boot up the game, you’re given the option of playing with "Gamer" or "Simulation" handling. For the purposes of this review-in-progress, I’ve only played with "Simulation," but that is mostly because I have past experience with these games. I’ll be taking a look at the "Gamer" option for the full review, but it handles a lot of the more sophisticated maneuvers you’ll need to employ on the tracks. The career mode is also wonderfully pared back from the bloat that most racing games suffer. You’ll find the majority of your challenges in "Rally" mode, but "Rally-X" and "Land Rush" are also present along with "Historic Rally," which is mostly a repeat of regular rally, but with classic cars. Events follow the standard racing game archetype of starting off with single tracks and burgeoning out to have multiple events with multiple races each. It can be tiring, but it thankfully doesn’t repeat the sin that DiRT 3 did of just having the entire campaign again for no reason in a final tier. Along with that, there is something similar to the Battersea Compound that was present in DiRT 3. It goes by the name of Joyride and it allows you to freely roam around to get a handle on your cars. It also has a few challenges that you can complete. They don’t seem to do much for you, but it's fun to try and reach time trial goals while dodging pick-ups that will add or subtract time from your score. 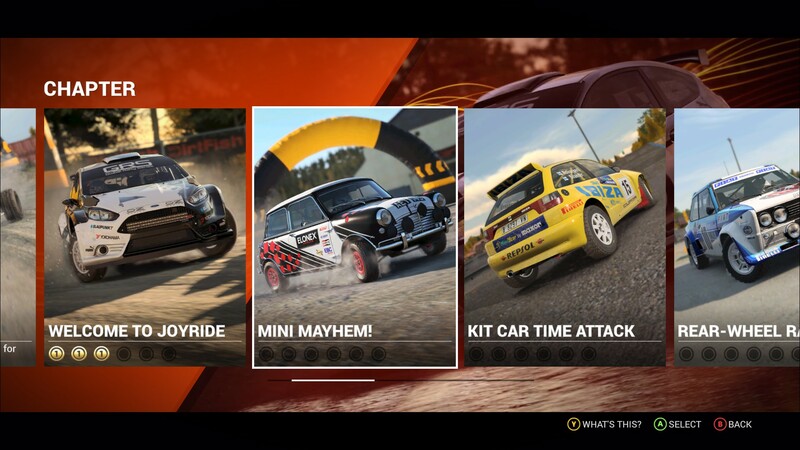 "Smash Attack," one of the modes that was a part of Gymkhana in DiRT 3, also makes a return in Joyride. It offers the same idea as time trials, just that you’re smashing through things instead of racing. I loved Gymkhana, but I know a bunch of people were very indifferent to it, so at least this doesn’t comprise a part of the main career mode. Then there is the widely touted "My Track" mode, which randomly generates a track in rally mode for you to race on. It's as easy as going into the menu, selecting "my events," and then picking a country to put your track in. After that, you get sliders for intensity and length and you just press a button to generate the track. You can even save what the game comes up with, if you’re so inclined. I haven’t put a huge amount of time into testing this feature, but it makes me wonder how much of the "Rally" campaign is actually made up of carefully crafted tracks. It may not be the ultimate answer for endlessly creating new courses, but the results are pretty damn convincing. I even generated a track that was close to nine miles long, so you could potentially have a race that takes upwards of 15 minutes to complete. My biggest complaint with DiRT 4, thus far, mainly lies with the price point. I’m fine with the game not featuring as much content as previous entries, but charging $60 for less is concerning. Refreshingly, Codemasters has not announced any DLC for the game, so maybe new modes and features will be added for free. Still, to run out and drop $60 on the game today might not be what most people should do. I do really love the way the racing feels, but I’m not sure how much time I’ll spend with this game after I’ve completed the campaign. For that matter, I still have to look at multiplayer, which doesn’t seem to sport a lot of options. I’ve refrained from talking about graphics as the version of the game I played for this review-in-progress was based on a beta build of the title. Parts of it looked odd, but that is set to be fixed with a day-one patch. Any screenshots I’ve included in this article come with the caveat of not being on final code, so if you notice any oddities, those are set to be fixed. Even with the lighter amount of content, though, DiRT 4 feels like a totally different game from its immediate predecessor. Hopefully the multiplayer works fine on launch, but there isn’t much to worry about as far as single-player content goes. Everything works as advertised and feels exhilarating. DiRT 4 may not redefine what a rally racing game should be, but its focus on providing the purest experience possible is admirable in an industry that tries to be everything for everyone at once. I can’t wait to get back into the campaign, even though it's nearing midnight (at time of writing) and I’m tired as hell.